On his return from Okanogan with the brigade in the autumn of 1841 Mr. Black as usual took up his residence in the old Fort Kamloops. Among the surrounding chiefs there was one who bore the name of Tranquille, a name which had been given him by Canadian voyageurs owing to his suavity of demeanor and his invariable quietude. 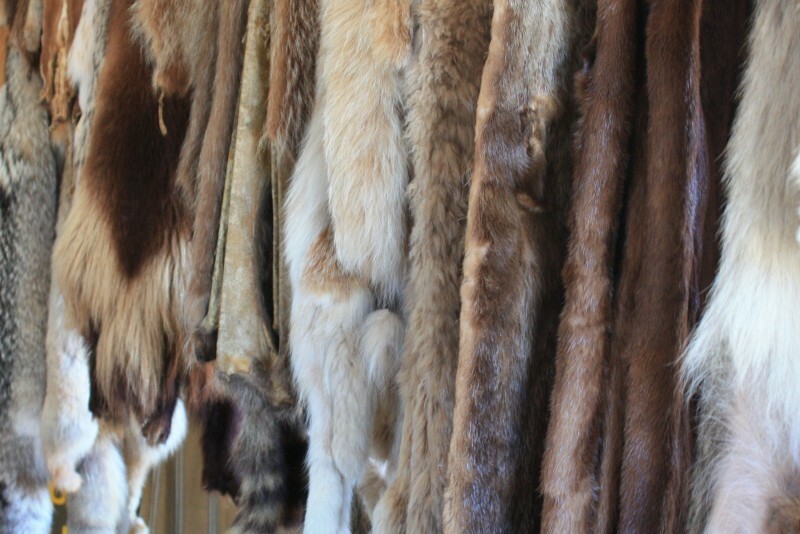 Ugly Head… is remembered as rolling his unruly hair on a stick and pressing it tight against his forehead, the way some people do with curlers today… She believes that “Bushy Bangs” or “Big Head” would be a better translation of her ancestor’s tribal name of Kwililnuqmi’keik. [Jack Nisbet, The Mapmakers Eye: David Thompson on the Columbia Plateau, [WSU Press, 2005] p.47. Ross Cox recalled: “It is laughable to hear the nominal distinctions [voyageurs] are obliged to adopt in reference to many of the partners and clerks, who have the same surname. They are Mr. Mackenzie, le rouge; Mr. Mackenzie, le blanc; Mr. Mackenzie, le borgne; Mr. Mackenzie, le picote, Mr. McDonald, le grand; Mr. McDonald, le pretre; Mr. McDonald, le bras croche; and so on, according to the colour of the hair the size, or other personal peculiarity of each individual.” He reported that voyageurs called one of the agents, Mr. Shaw, Monsieur Le Chat (Mr. Cat), and one voyageur who met Shaw in Montreal referred to his children as les petits Chatons (the little kittens.) In the 1850’s Johan Georg Kohl noted that old French Canadians living around Lake Superior referred to bears as shaggy bourgeois. In this case it is difficult to tell if this designation was meant to note the human qualities of bears, insult bears, or acknowledge the power of bourgeois. The Interior Salish who camped near Fort Colvile called Angus McDonald Oops-chin, probably because of his whiskers. Anderson also earned a Salishan name that is difficult to translate — S’gath-poose. The story comes from Christina McDonald, daughter of Angus McDonald of Fort Colvile. It is found in “The Daughter of Angus MacDonald,” p. 115, at www.digital.lib.washington.educ/0js. For all his years in the Northwest, father [Angus McDonald] was never weaned from his Scotch habits and ways. Once when I was with him in Victoria he engaged a coach and, taking Big McLean, a bag pipe player, we set off to pay a visit to s’gatch poose Anderson, a fellow countryman and old acquaintance who lived near Esquimalt, and was so named by the Indians on account of a gathering or scar on his cheek. He was an old Hudson’s By Company man formerly from Fort Colvile. So the use of nicknames sometimes makes it hard to discover who the Native man you are speaking of is — and more importantly, what his real name is. However, sometimes the name identifies the man clearly, as in the case of “Blackeye, the Similkameen,” and “Capot Blanc,” [see last post]. Tsilaxitsa is almost always referred to as “N’Kwala’s nephew,” and Selixt-asposem as “N’Kwala’s Son.” [I haven’t written that story yet on this blog. Perhaps it is time to now do so]. Anyway, N’Kwala had many sons and many nephews but, as far as I am aware, these two are the only two described by these words, by the HBC men at Kamloops. I have to admit however, I can be proven wrong on this statement, and am happy to hear from you if I am incorrect. My GGG Grandfather Basile Brousseau was the dairyman at Fort Langley, born about 1808 in Quebec, and first a voyageur who made his way west and known also as dit LaFleur. Based on much of what I read, I thought it was probably an ‘affectionate’ name for him – in that he was anything but beautiful. But imagine my great surprise to see this old IGI search that seems to suggest his GGG Grandfather, the first of the line to come to Canada, was AKA LaFleur? Yes, dit names are important, but I am not finding your ancestor under either name in Bruce Watson’s Lives Lived West of the Divide. Do you belong to the Children of Fort Langley Facebook page? Do you mean the Children of Fort Langley? Yes, I am a member. HBC Steersman, Fort Langley (1833-1834); Steersman, Fort Vancouver (1834-1835); Middleman, Fort Vancouver (1836-1836); Middleman, Fort Langley (1836-1845); Dairyman, Fort Langley (1834-1859). He also had a son with the same name – born about 1839 – who was also a dairyman at the Fort. Yep, there he is alright. I guess I just never saw it. Interesting – names can be confusing to researchers, and every bit of new info is helpful. We do a game with youth who are learning details of their family tree; can be quite funny when they see a picture and nickname and have to guess why that nickname was used. Lots of good examples here that we can use. Thanks. I understand that Black-eye was named such because his band marked their slaves with their slaves with a “black eye” of some sort. I do not know if that is true, whether it was a tattoo, or any other method, or even if they had slaves. But its a story I heard.